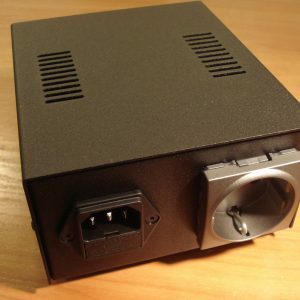 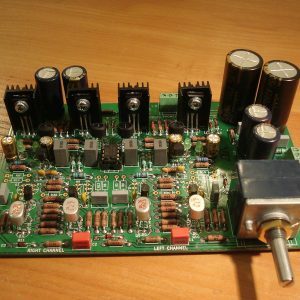 Current Feedback (CFA) Headphones Amplifier | ATL Audio Ltd.
Current Feedback Amplifiers are well-known among electronic society with their high slew-rate and small distortion. 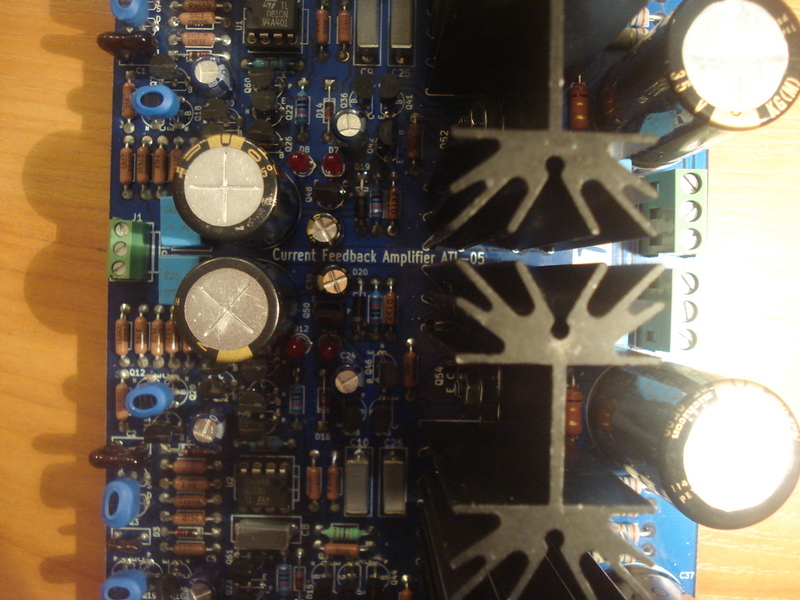 The Amplifier proposed here is Current Fedback (CFA) type with input stage based on the 2SK170BL/2SJ74BL JFET matched pair, Baxandall super pair in the Voltage Amplification Stage (VAS) and the Diamond Buffer as an Output Power Stage (OPS). 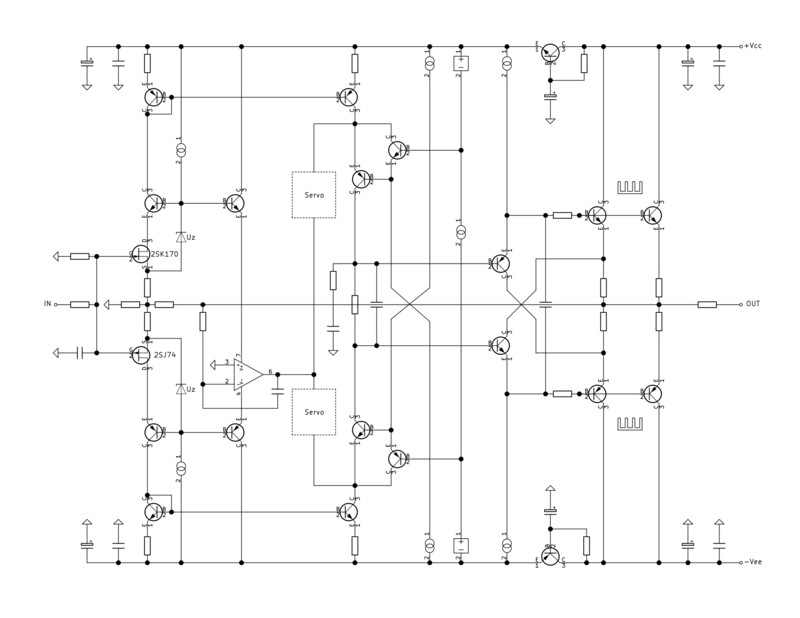 A simplified block-schematic is shown on the pictures below. Schematic is DC connected – there are no blocking capacitors in the signal path. That’s why in order to preserve the Zero on the Output a servo circuit is implemented (also shown on the block-drawing). 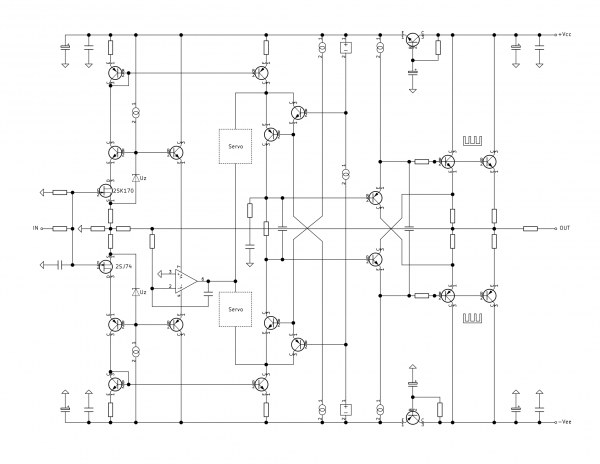 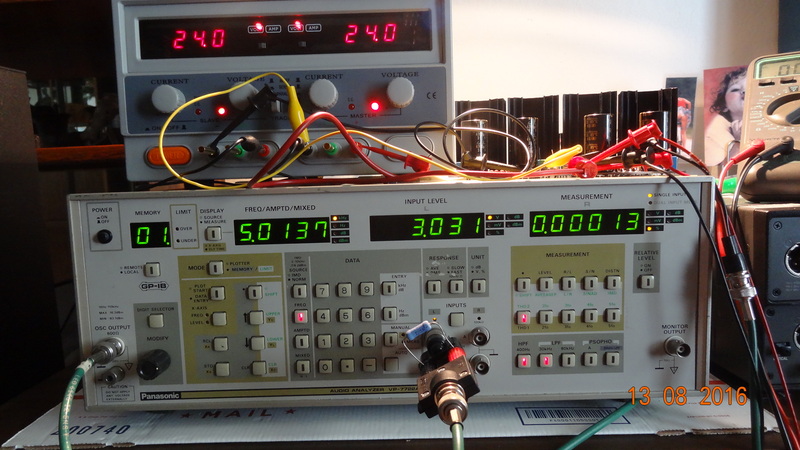 In order to raise the Power Supply Rejection Ratio (PSRR) the Input stage and VAS are fed via capacitive multipliers. 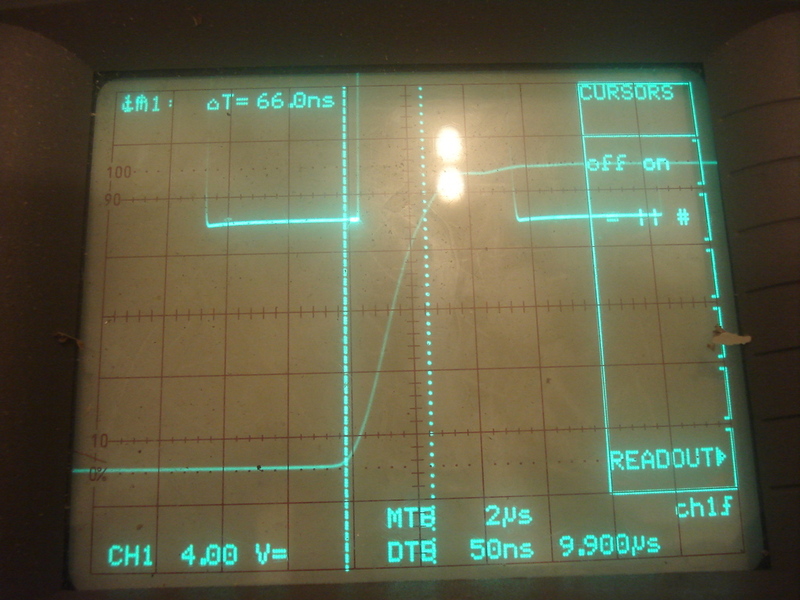 The Diamond Buffer at the OPS works in class A and utilize two power transistors in parallel at each rail in order to raise the quiescent current. 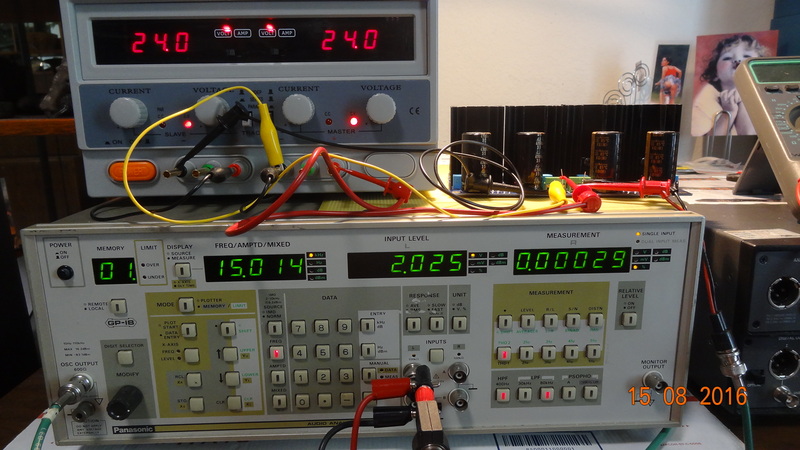 Each output transistor is biased at ~ 65 mA which yields overall quiescent current of 130 mA. 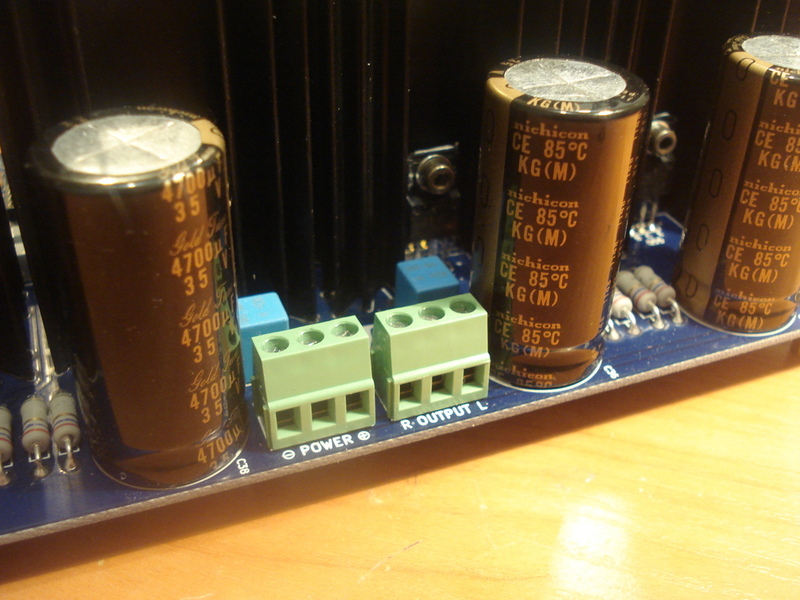 Schematic should be powered from regulated power supply with +/- 18 to 24 V output voltages. 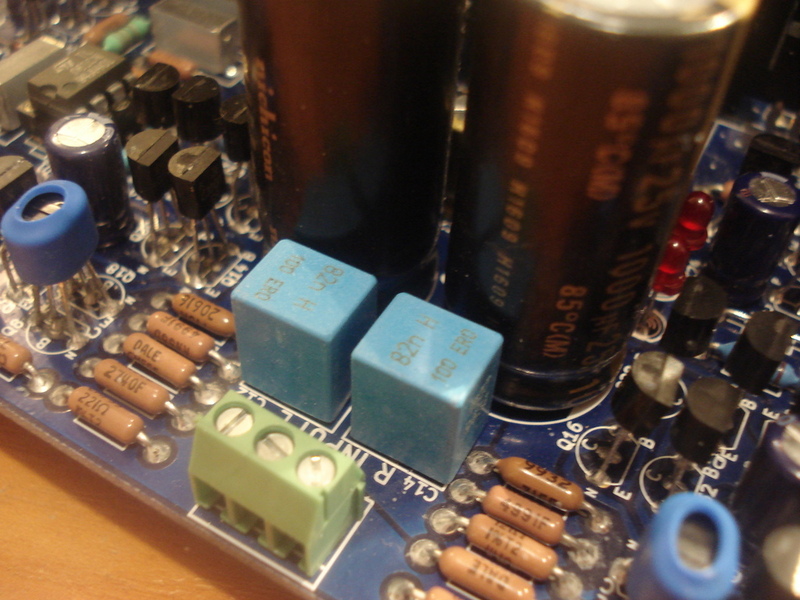 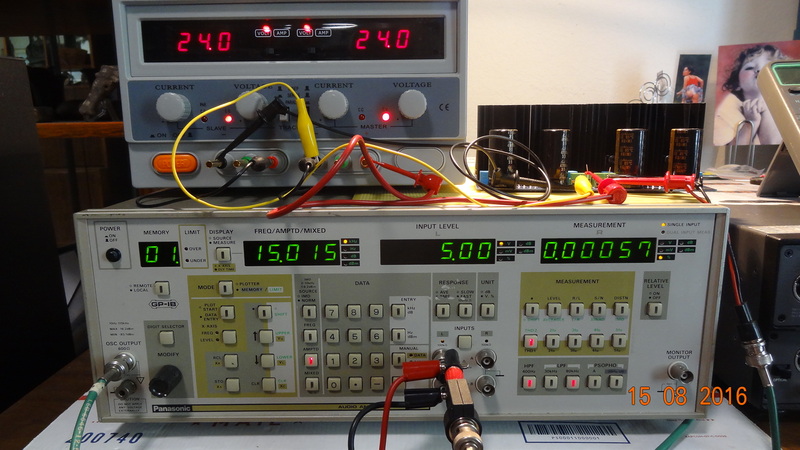 The overall current drawn from the PSU is 350 mA (for both channels). 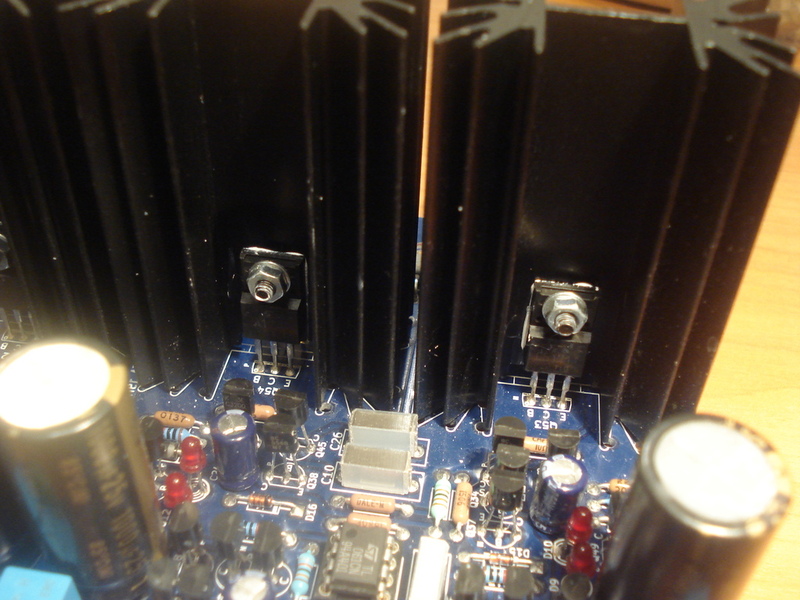 There are ground planes on both layers. 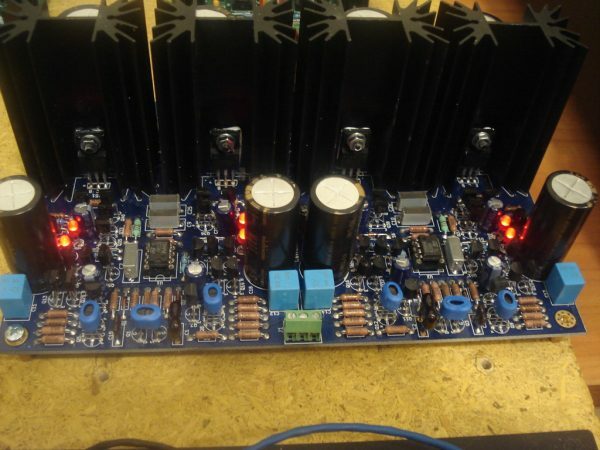 Special care has been taken in the ground plane’s design – as it’s seen on the photos, each ground plane is separated to 3 areas – input, middle and output in order to minimize parasitic current flows between amplifier stages. 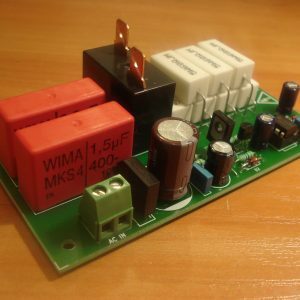 – the capacitors in the frequency correction networks are Silver Mica type. 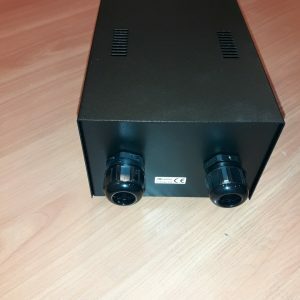 For ease of cable mounting Molex Fixed Terminal Blocks 3.5mm/5 mm are used for input/output connectors as long as for power supply connector. 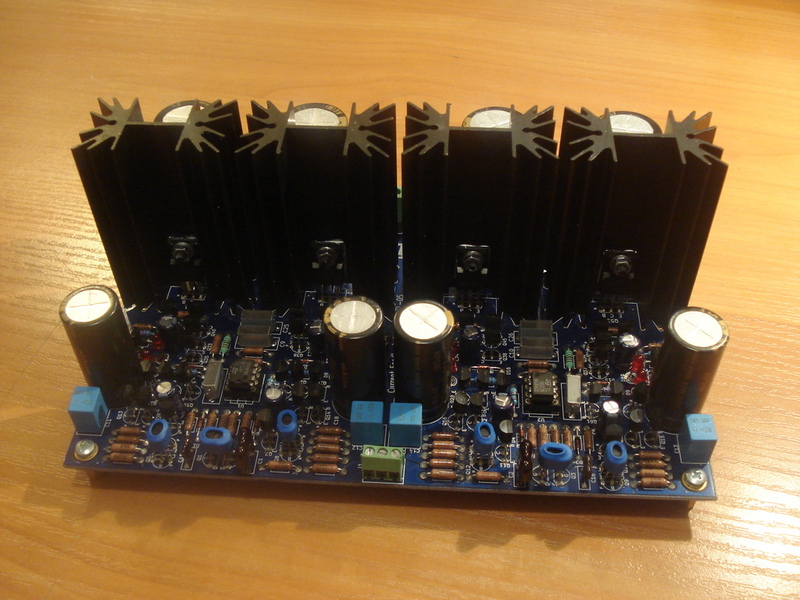 There are some very good HP amps around…. 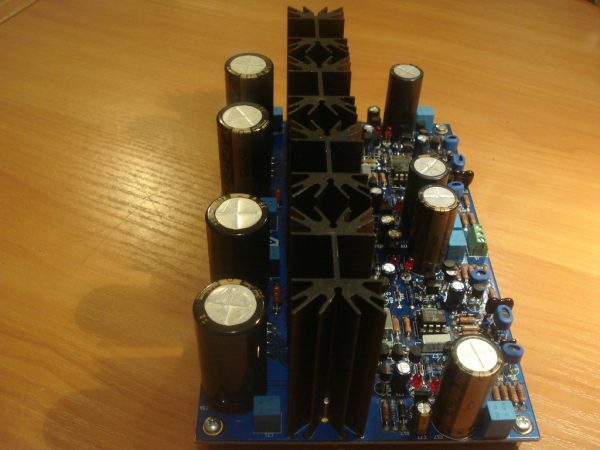 this one is amazing. A CFA, with high slew rate and ultra low distortion at any frequency and output level and load impedance. 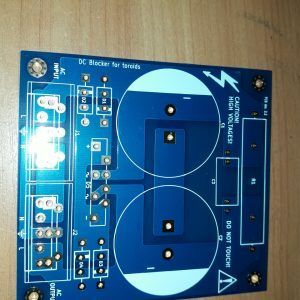 Full schematic will be sent to the buyer’s PayPal address after purchase. 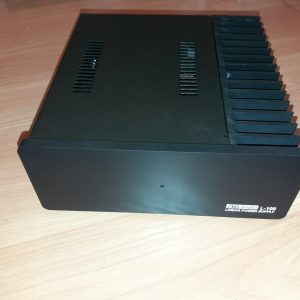 If for some reason a different e-mail address must be used, note it in the process of checkout. 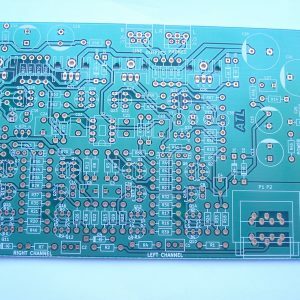 The package will contain 1 pcs. 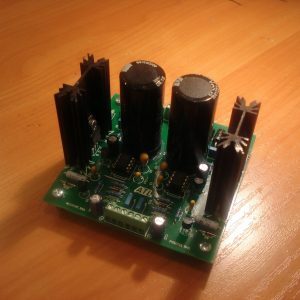 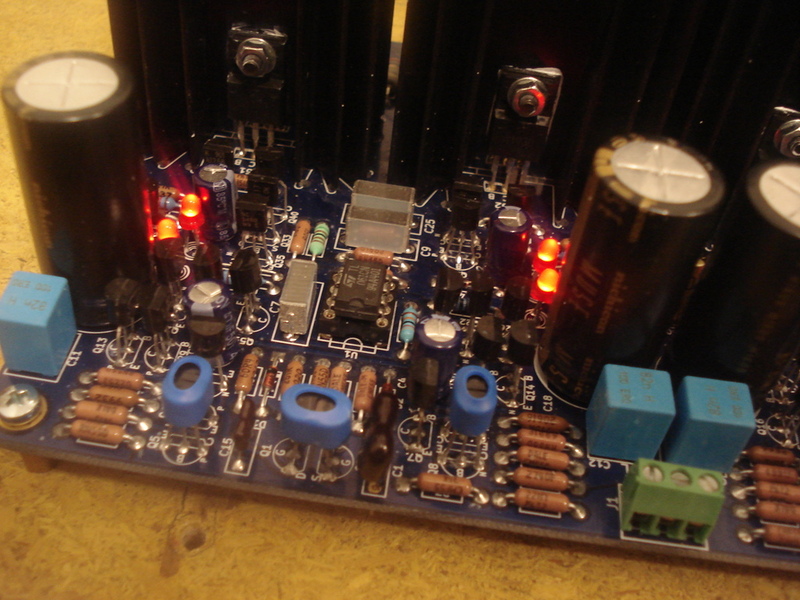 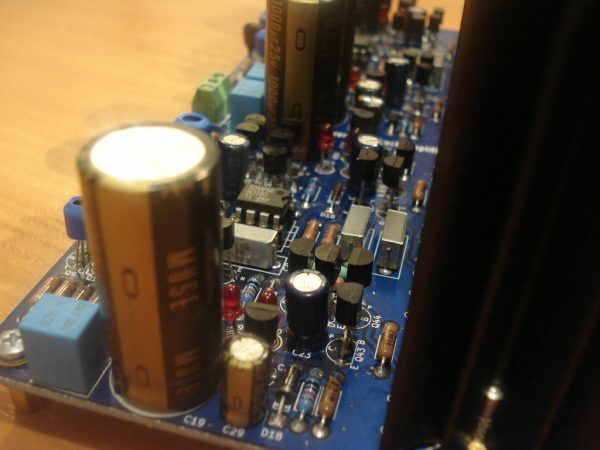 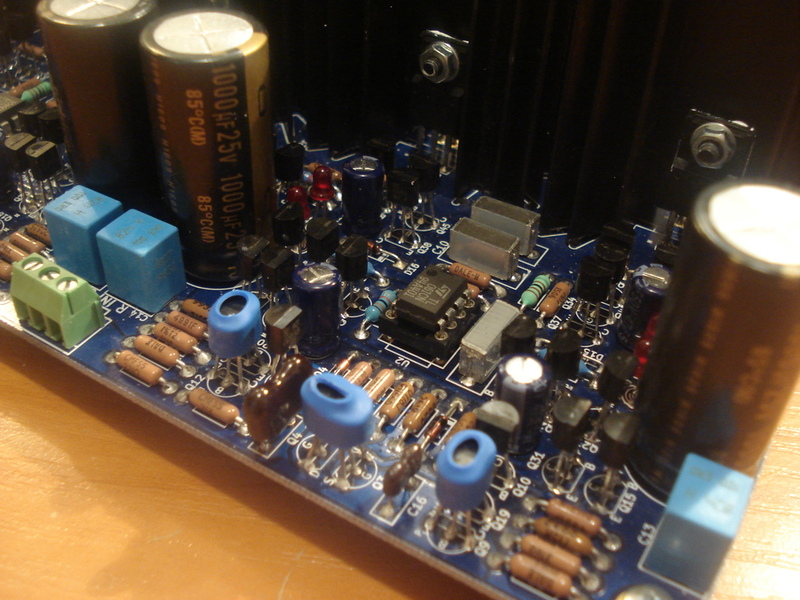 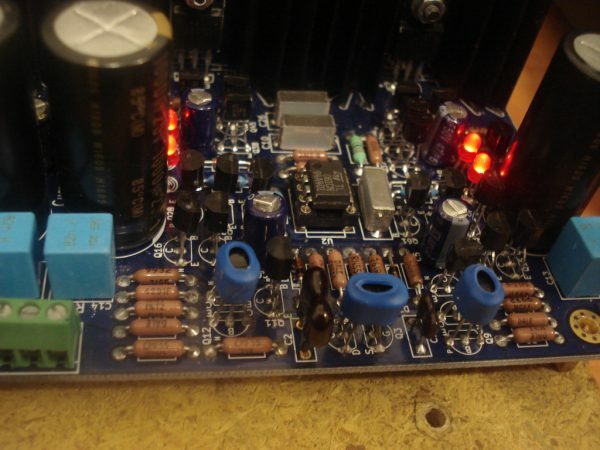 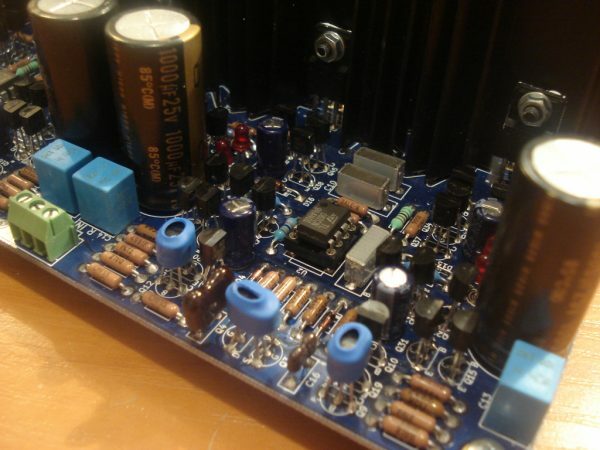 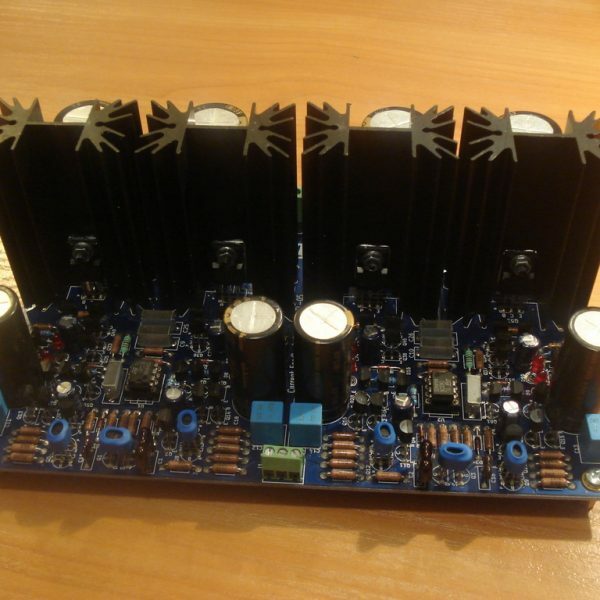 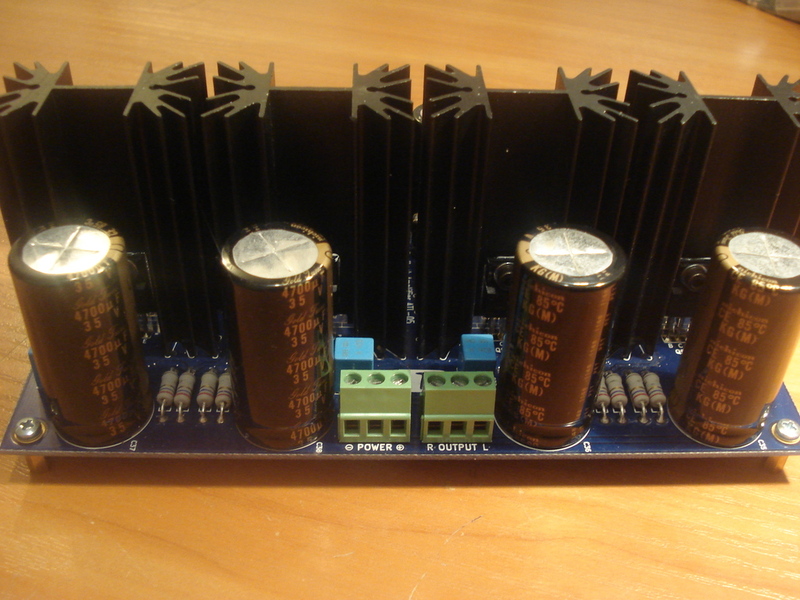 FULLY ASSEMBLED and tested CFA Headphones Amplifier PCB.